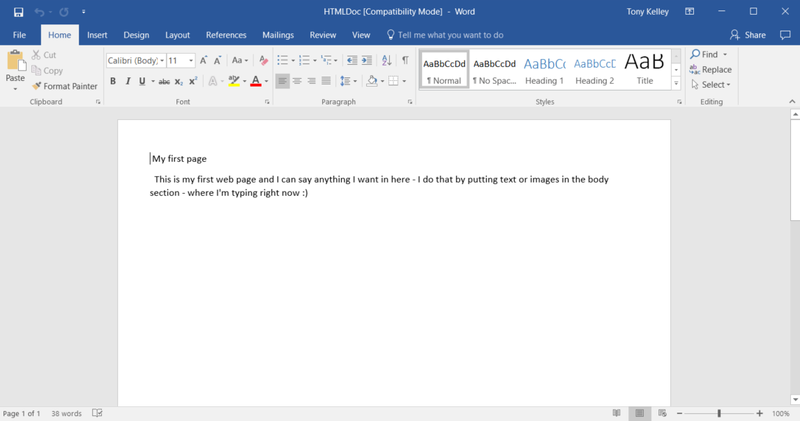 This tutorial shows how to use Html To Word Document	step. 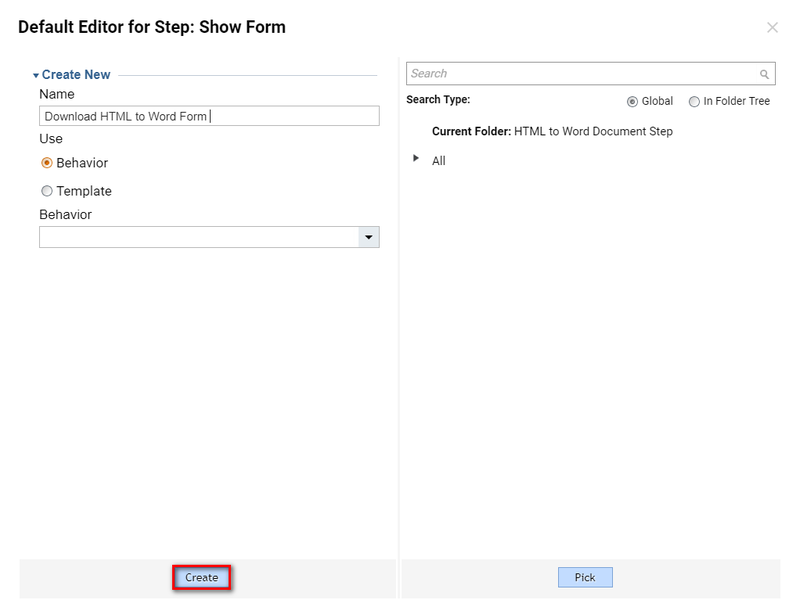 This step can be found under Data > Html	category in the ToolBox	in the Flow Designer . 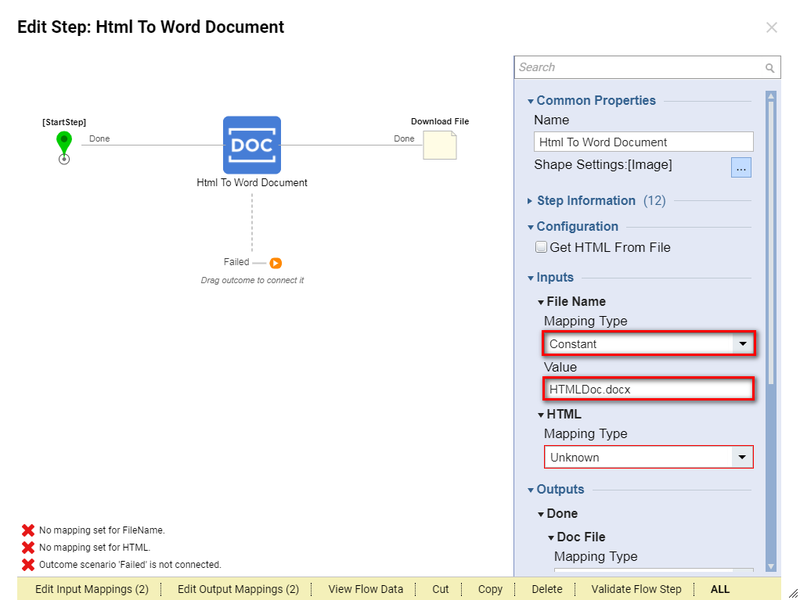 This step can be used to convert Html Document	into Microsoft Word Document. For this example we created a simple Html Document	that looks like following in the Internet Browser. We begin in theDesigner Folder with clickingCreate Flow	button from Folder Actions	panel. Next, we Name	our Flow and click CREATE	to proceed to the Flow Designer. 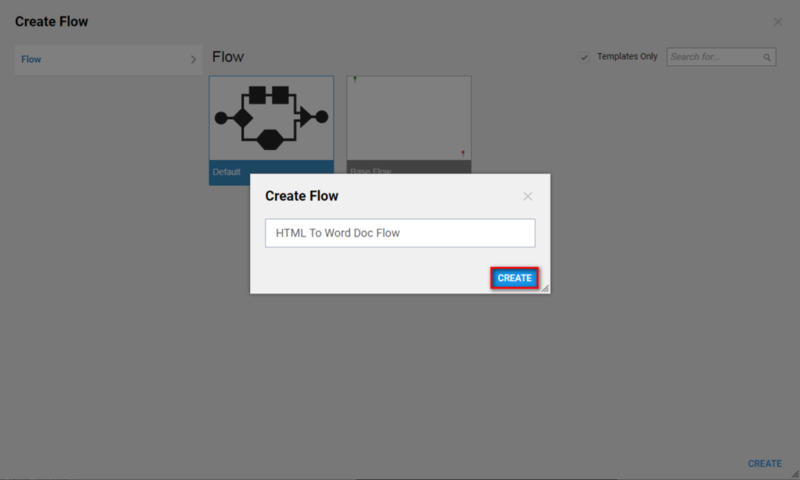 In the Flow Designer we use Quick Add Step	dialog to add Html To Word Document	step to our Flow . We expand All Steps [Catalog] > Data > Html	category, select Html To Word Document	step and click Add	. 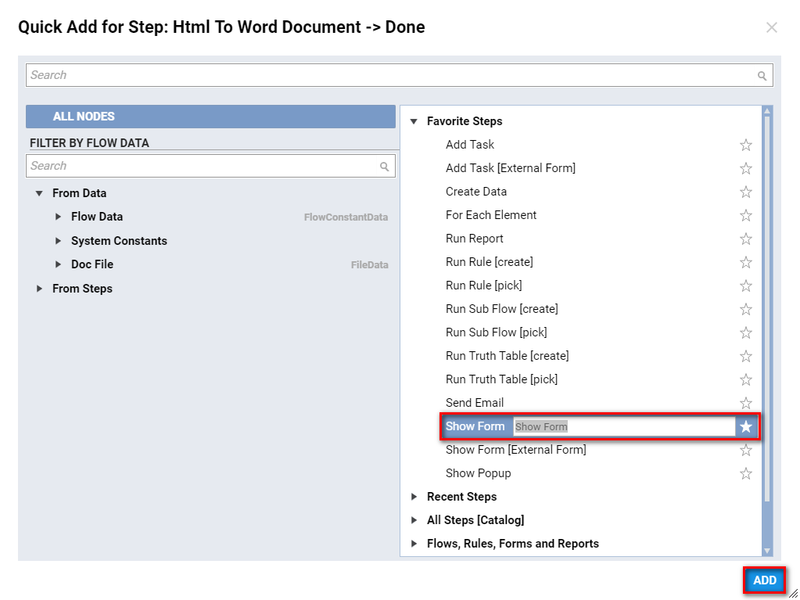 Next, we add Show Form	step to Done outcome from the Html To Word Document step. 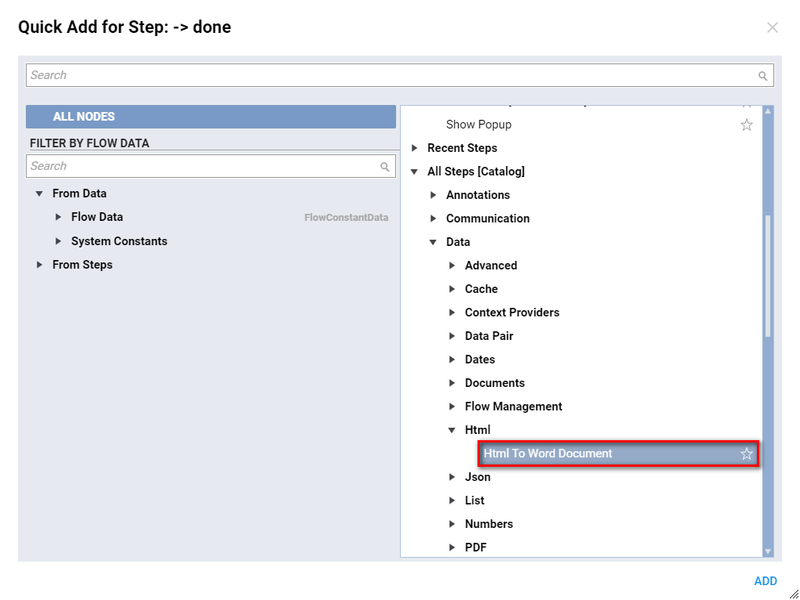 We locate Show Form	step in the Quick Add Step	dialog under Favorite Steps	category. This Form will have Download File	control for user to be able to download converted File. In the resulting pop-up window we Name	our Form and click Create	to proceed to the Form Designer. In the Form Designer we drag Button	control from Actions	category in the ToolBox	to the workspace, and rename this control to Done . 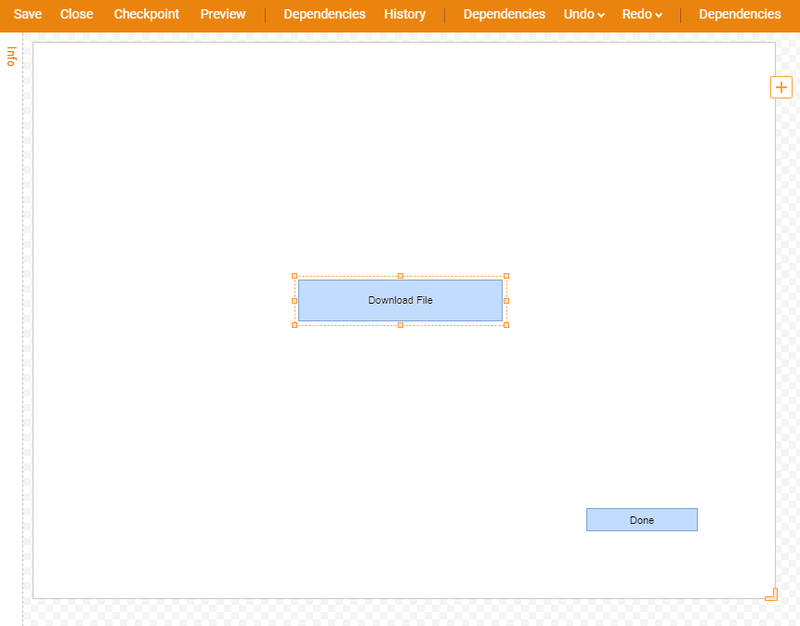 Next, we add File Download	control from File Handling	category to the workspace. We configure our File Download	control as following… We provide its Data Name	with Name , Select its Type	as Button , and provide this control with Text that will be shown on this control. Our Form Design should look as following. 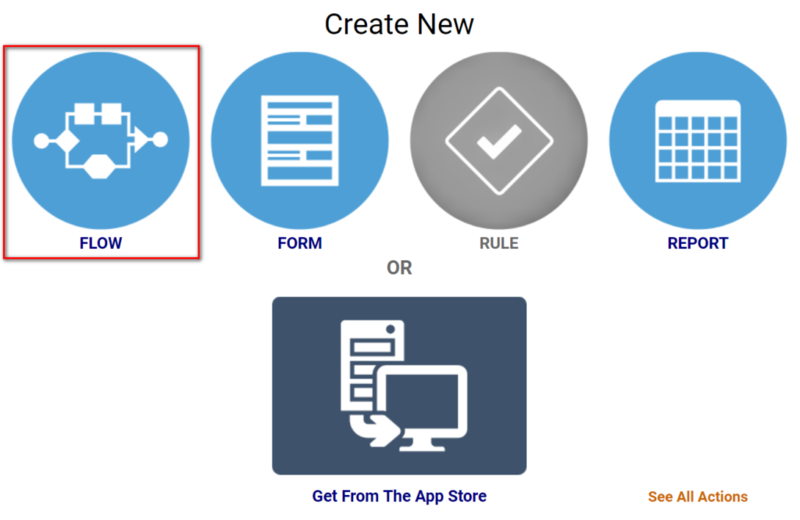 When finished, we can Save	the Form and close Form Designer to return back to theFlow Designer. 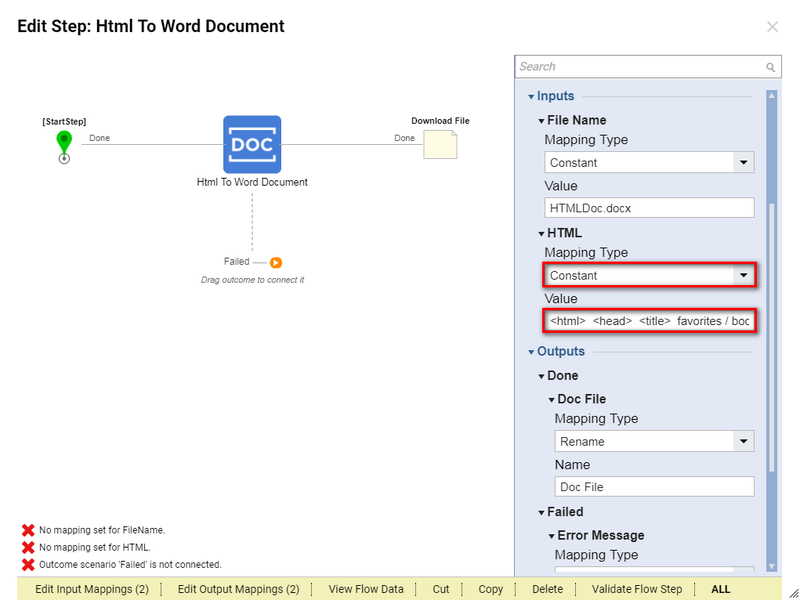 Next, we select Html To Word Document step in our Flow , and use Edit Step layer	to map the Data to this step. 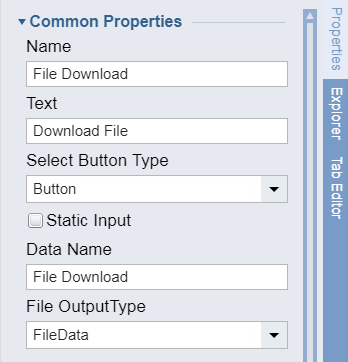 First, we selectConstant Mapping type	for the File Name	, and type desirable File Name	in the Value	box. Mention, that we use .docx	file extension in the File Name value. 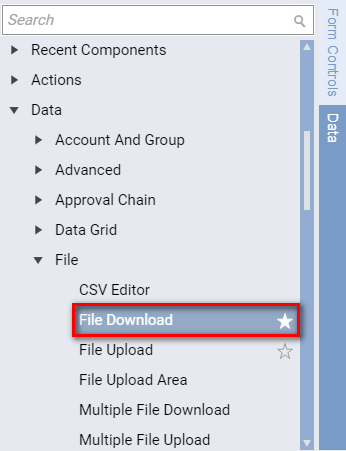 Then, we select our Show Form	step in the Flow and map Data to this step using Edit Step layer. 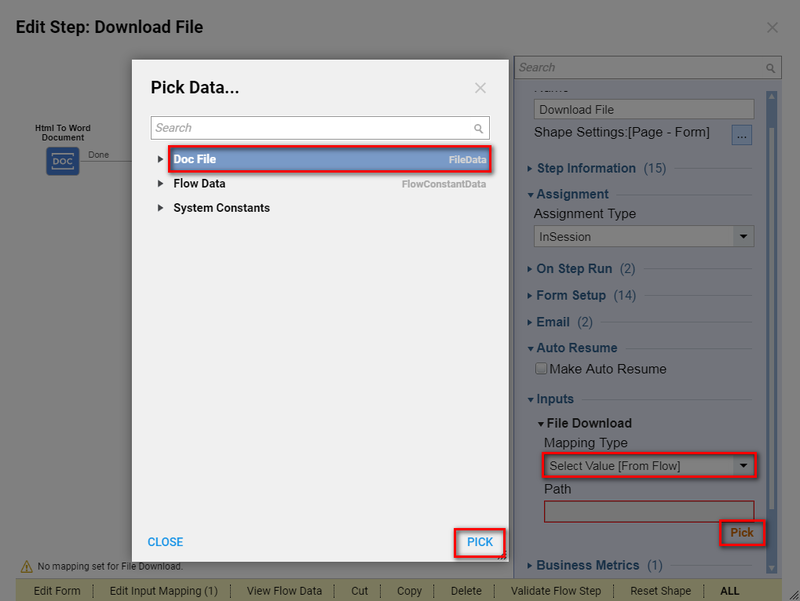 For the File	field we use Select Value Mapping type. 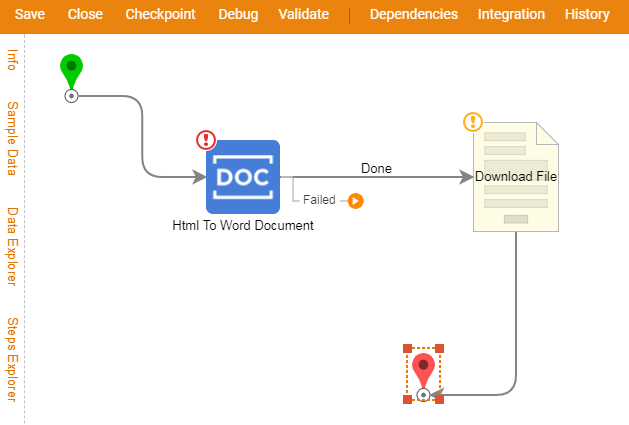 Next, we use Value Picker	to map this Value to the Doc File	outcome from the Html To Word Document step. Finally, we connect Failed	outcome from the Html To Word Document	step to the End Step	in our Flow . This completes our Flow Design . 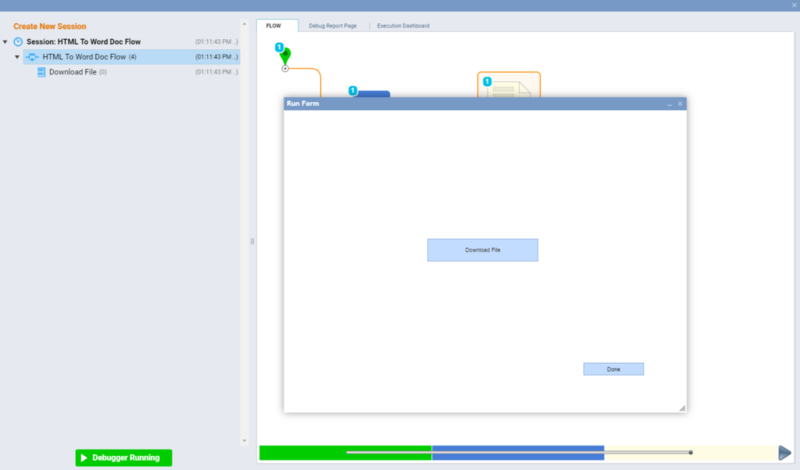 We can click Debug Flow	on the Top Panel of the Flow Designer to test our Flow . 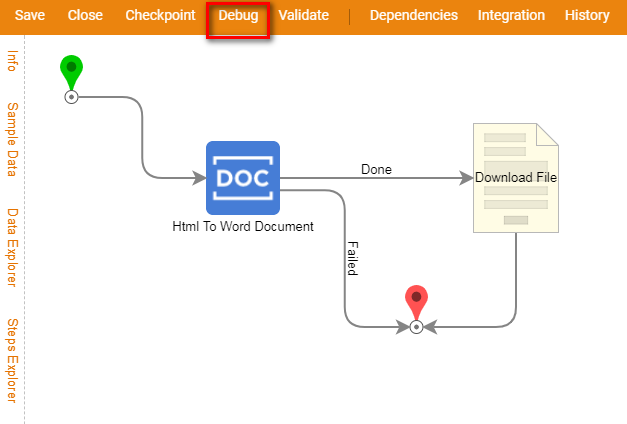 We click Done	button on our Form in the Debugger	to close the Form . In the Debugger Diagram	we can observe that our Flow ran to the End Step	with no errors. We locate and open our Converted File	… Confirm that the File looks the same as when it was opened with Internet Browser.